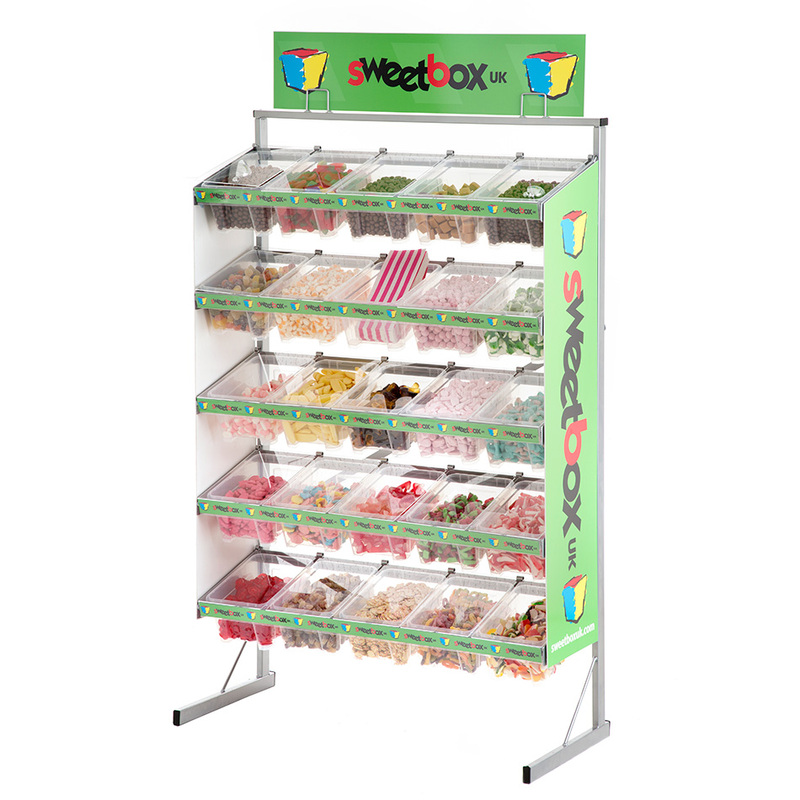 It should be easy to hire a Pick n Mix unit and now it is ! Simply give us a call and we can devise a hire package to suit most budgets and start from as little as £150. Our Pick n Mix Hire can provide 20 – 200 bin displays, personalised graphics, personalised bags and is available throughout London and The South East.